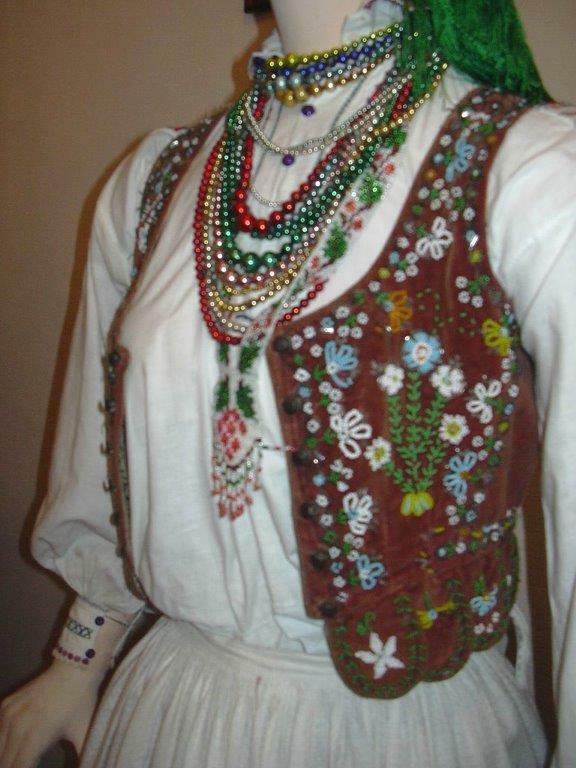 FolkCostume&Embroidery: Overview of the costumes of the Lemkos / Rusyns part 6. 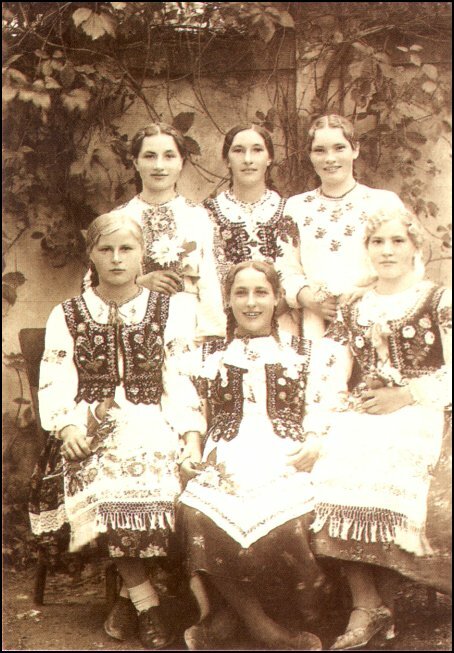 West Lemko, Krynytsia group. 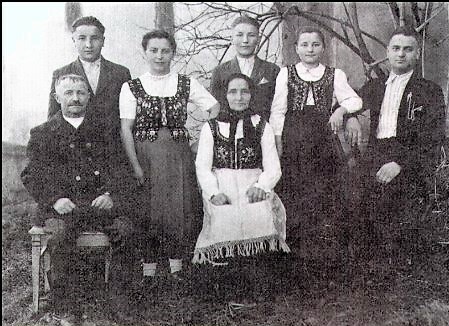 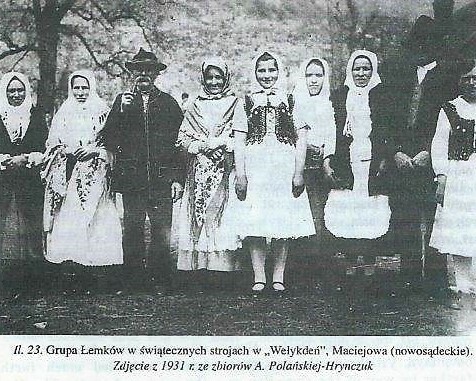 Overview of the costumes of the Lemkos / Rusyns part 6. 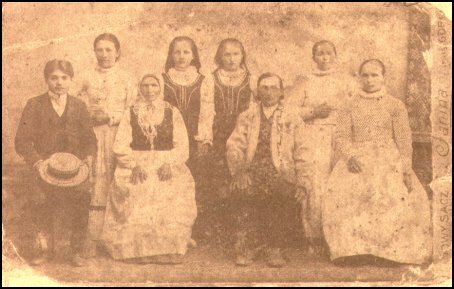 West Lemko, Krynytsia group. 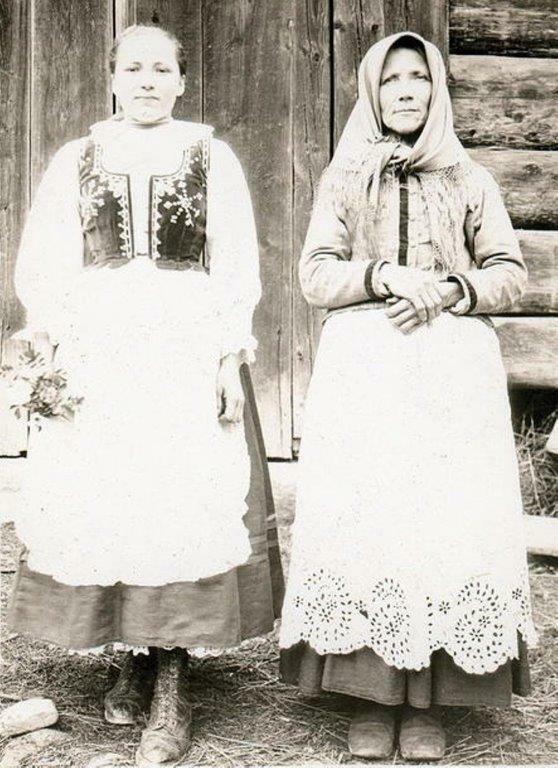 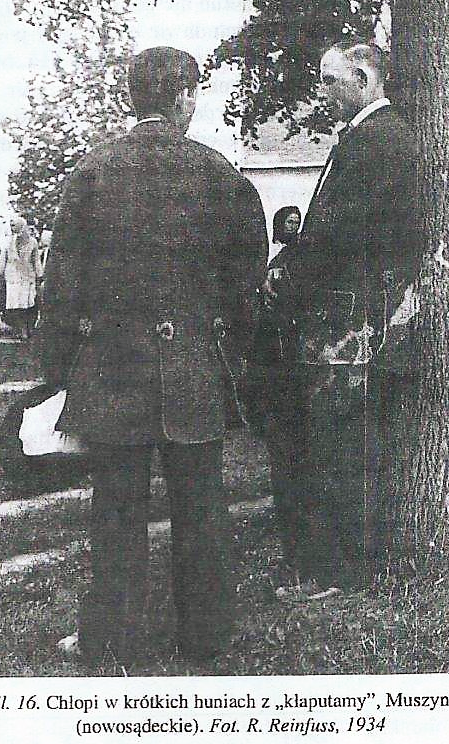 Today I will start a couple of articles that focus on the Lemko costumes, those found only north of the border. 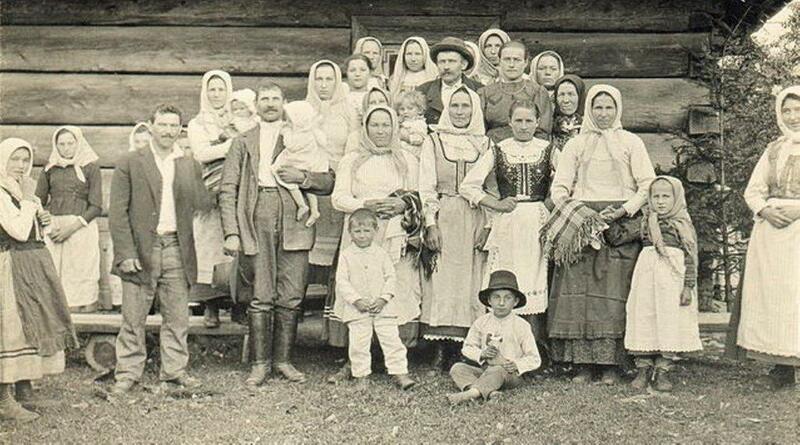 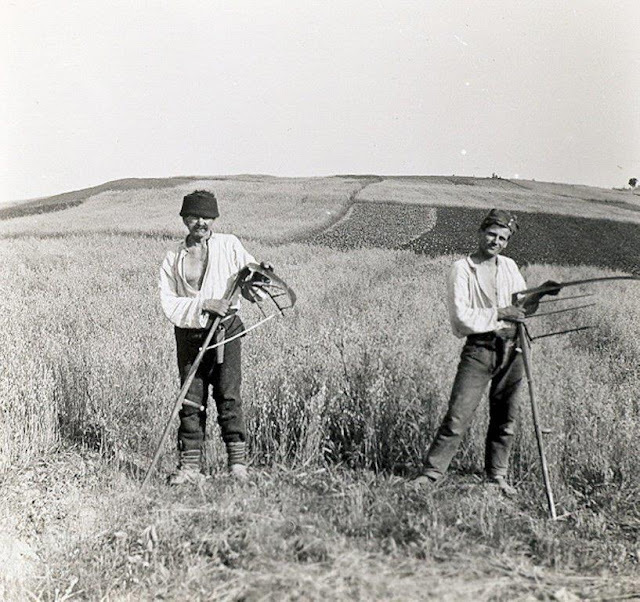 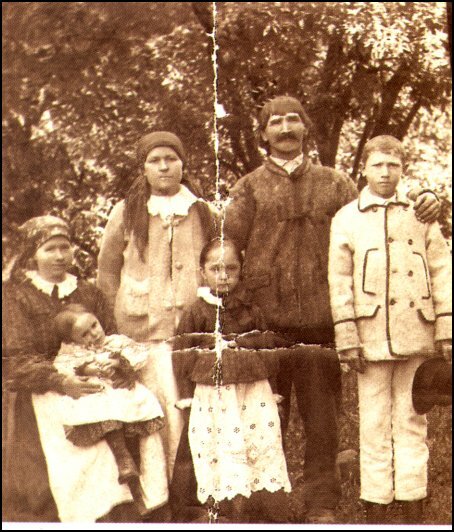 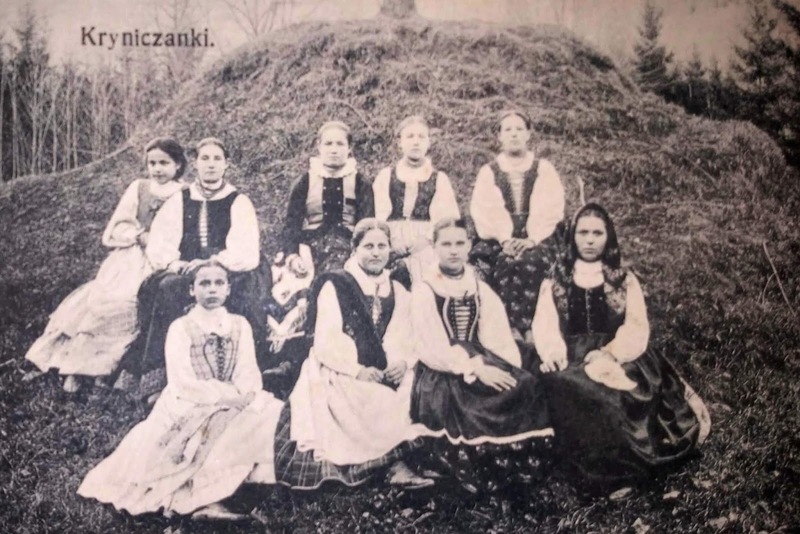 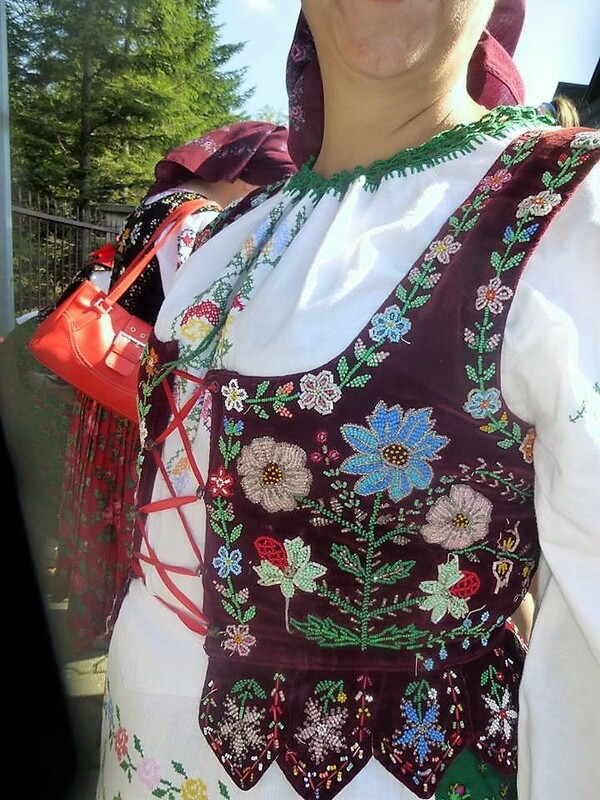 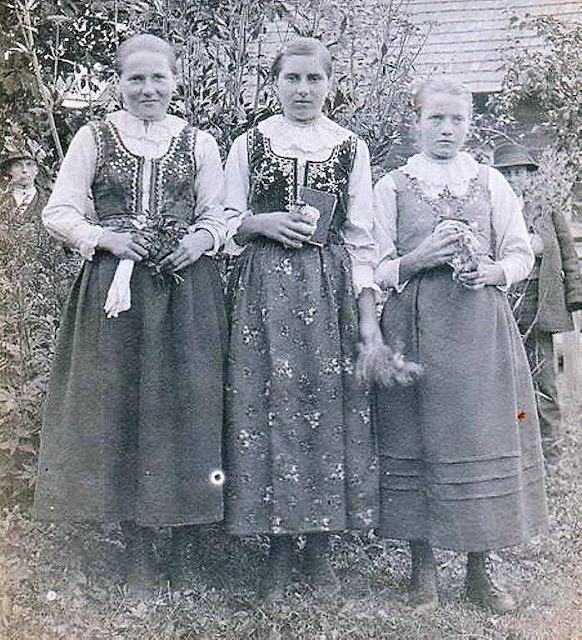 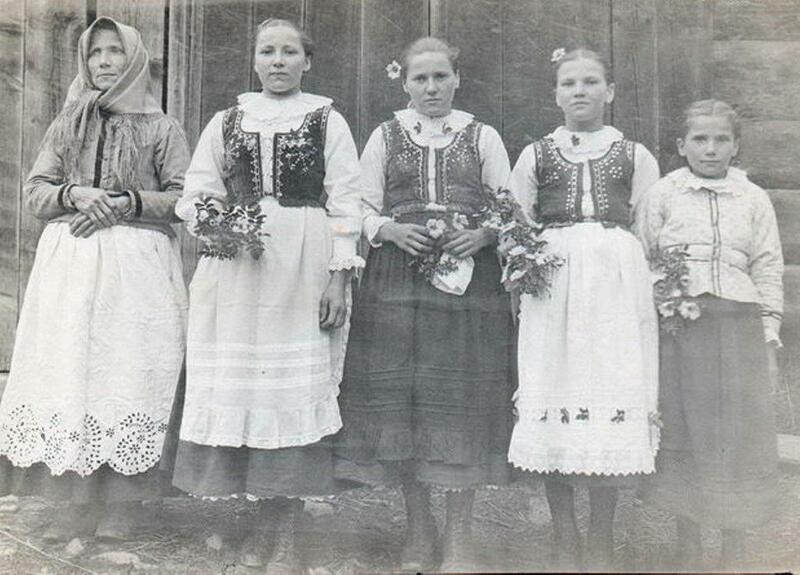 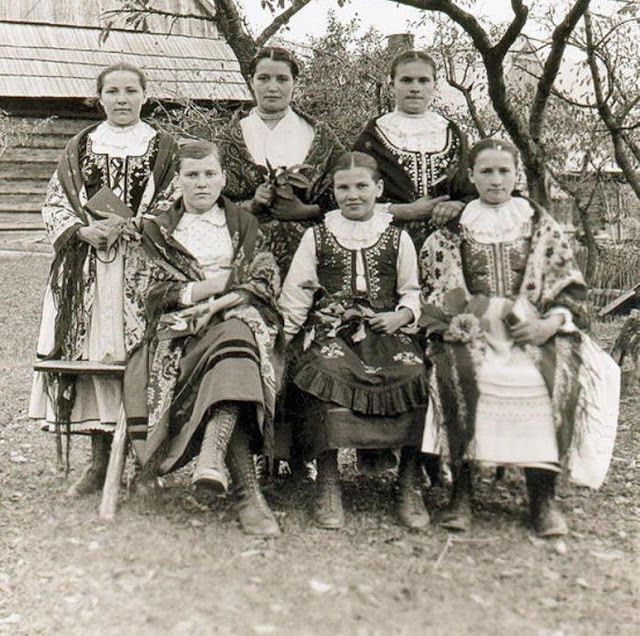 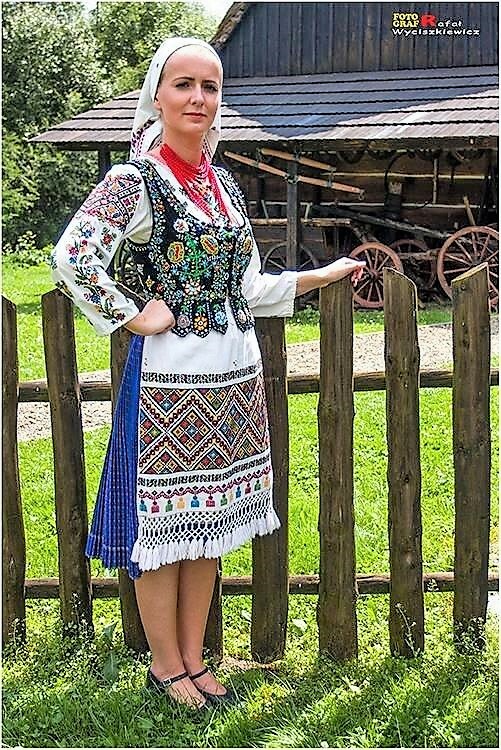 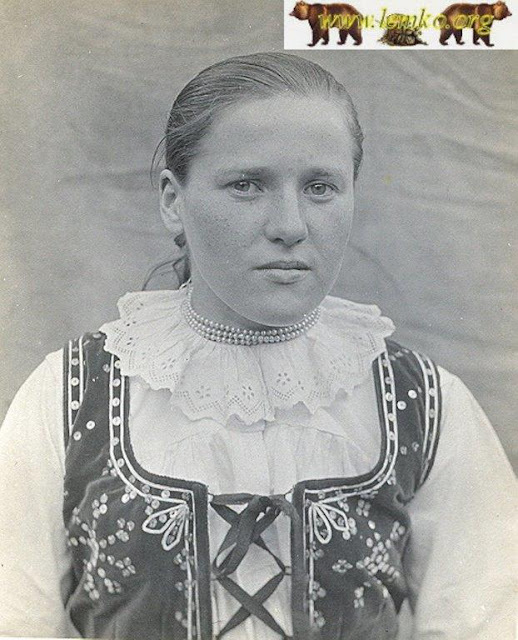 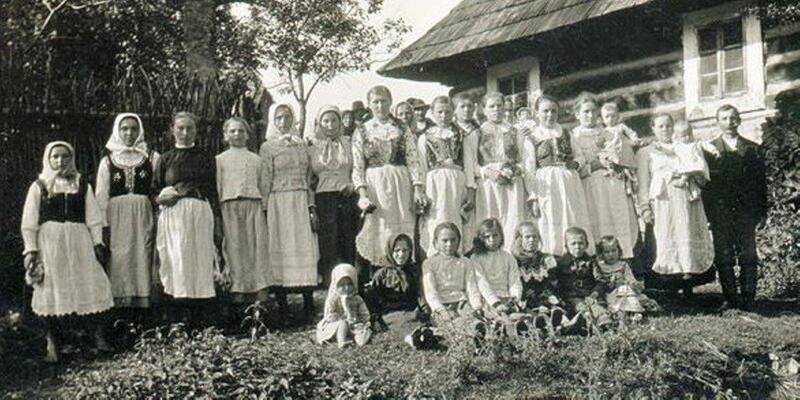 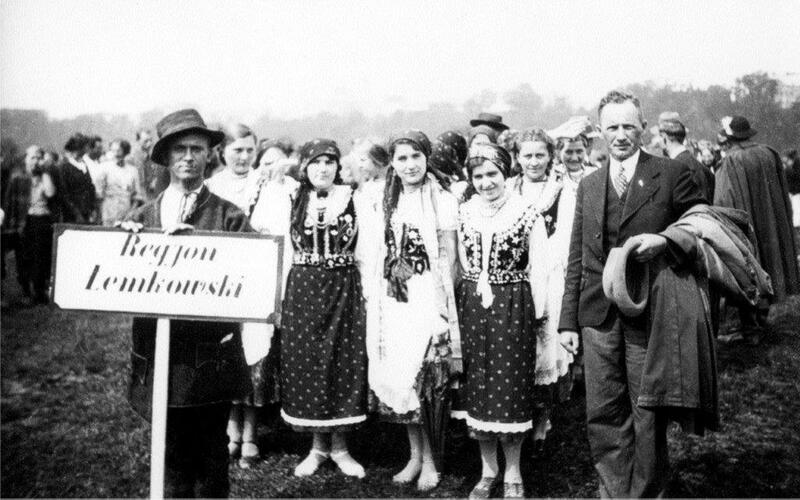 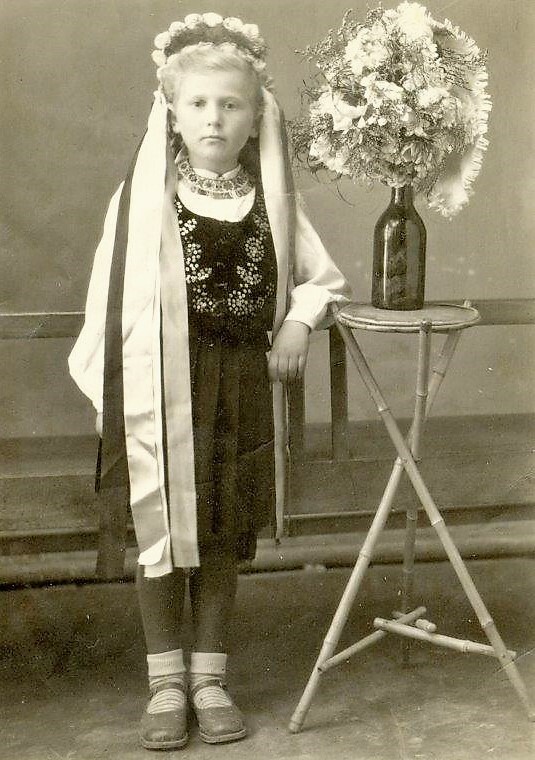 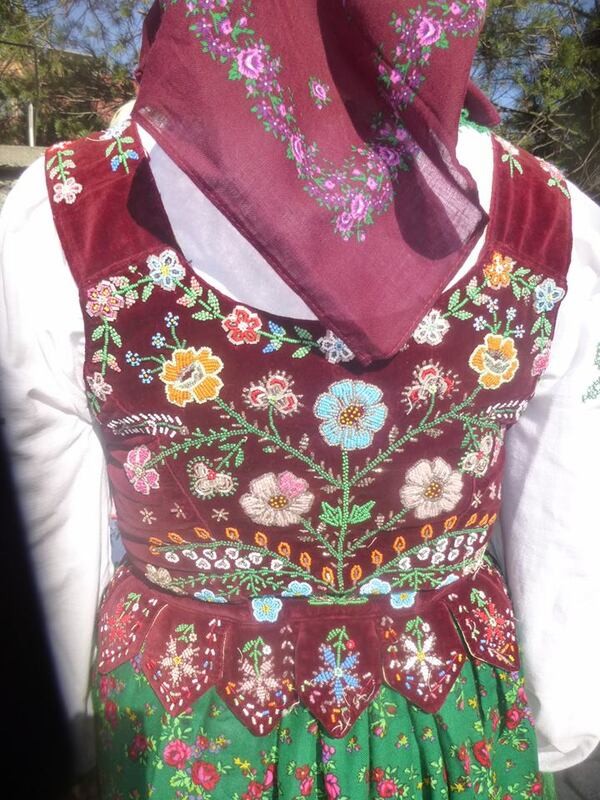 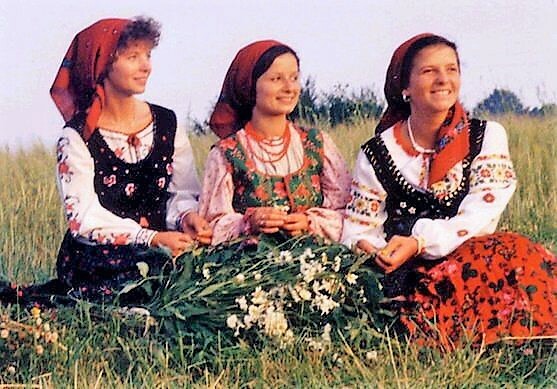 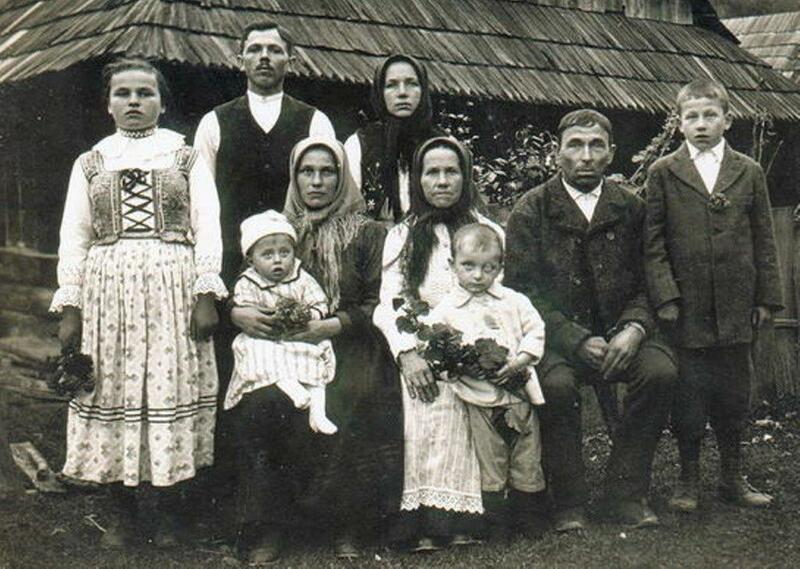 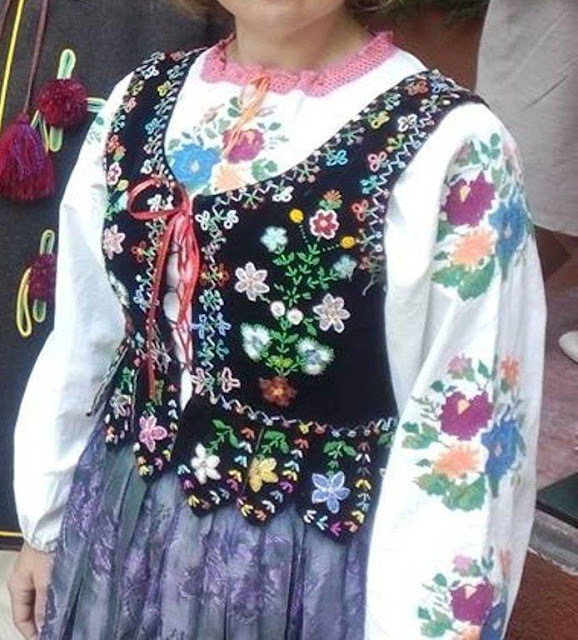 I will talk about the costume which are sometimes referred to as 'West Lemko', those which are found north of the Poprad or Venhryny costumes in Nowy Sącz County. 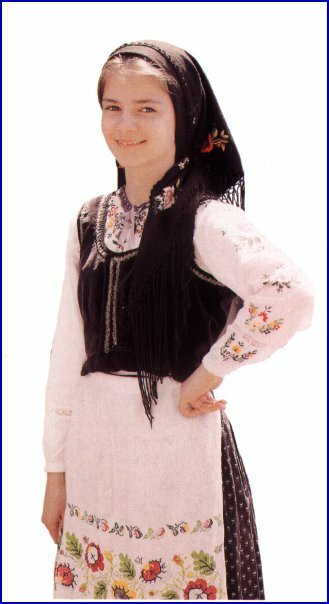 Here is a map of the approximate extension of this costume. This region is dominated by the Town of Krynica, The Poprad Lemko / Rusyns lie to the southwest, the Black Gorals to the west, the Lachy Sądecki to the north and the Central Lemko region to the east. 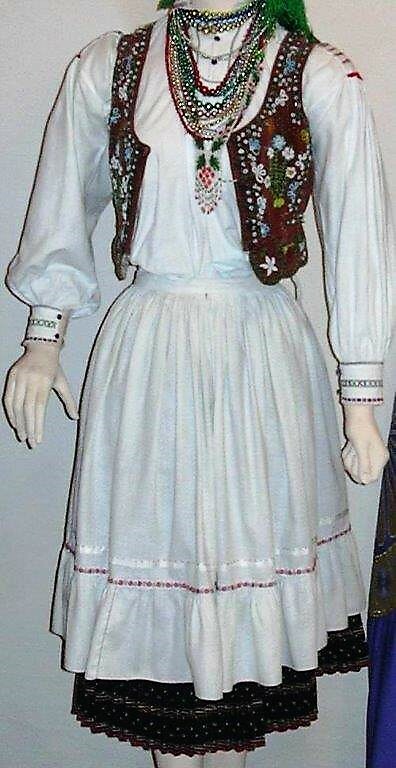 The costume is in many ways the least distinctive, being a variant of the Malopolska costume found over a rather wide region of Poland. The photograph above is of a group of girls from the village of Berest. You can see the basics of this costume. 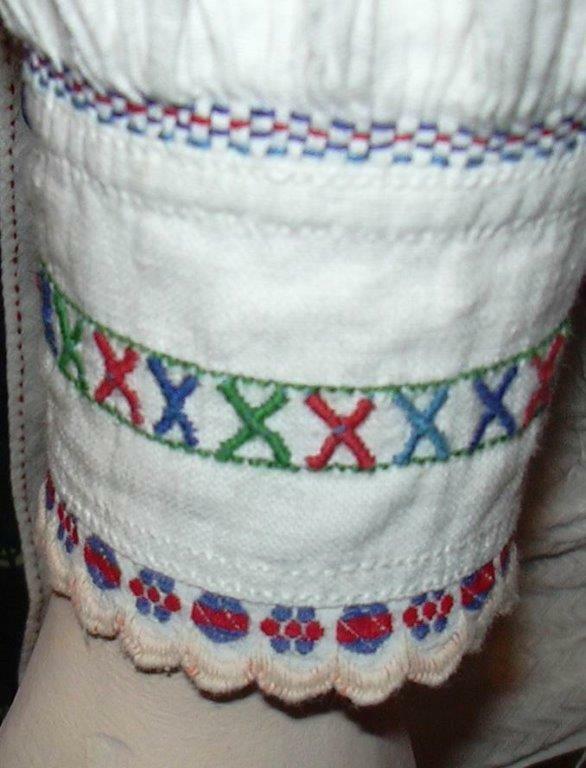 Long sleeved shirt with little embroidery, although I have been told that they sometimes used white on white embroidery. Wide separate collars. 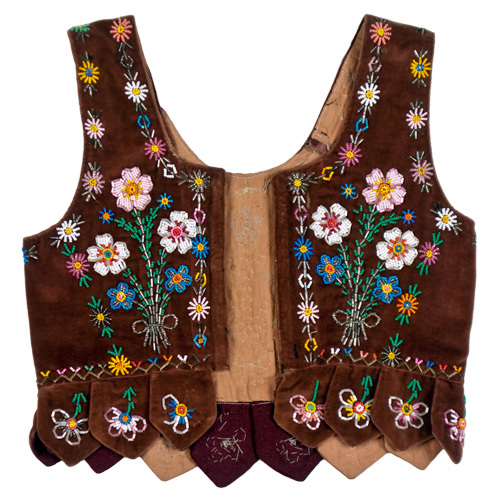 Vests cut in the Polish style, usually with hooks or lacing in front instead of buttons, and long relatively narrow lappets, sometimes with sharp corners in the Goral style. 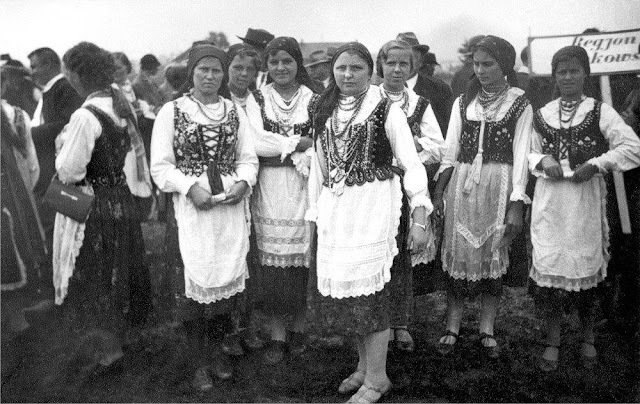 Wide full aprons and skirts that are gathered, not pleated. 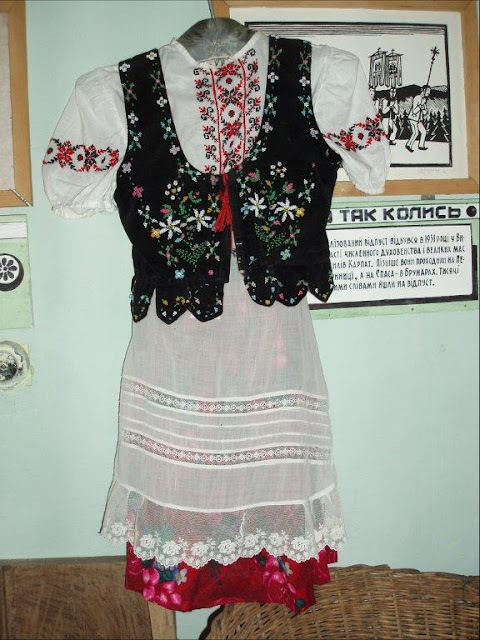 Later a costume that somewhat resembles this became widespread among all the various Ukrainian groups in Halychyna under Poland, a sort of Town Costume. 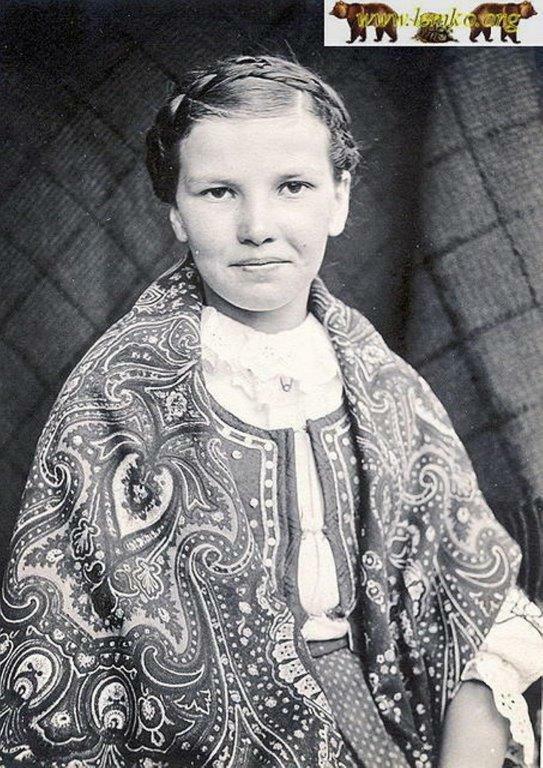 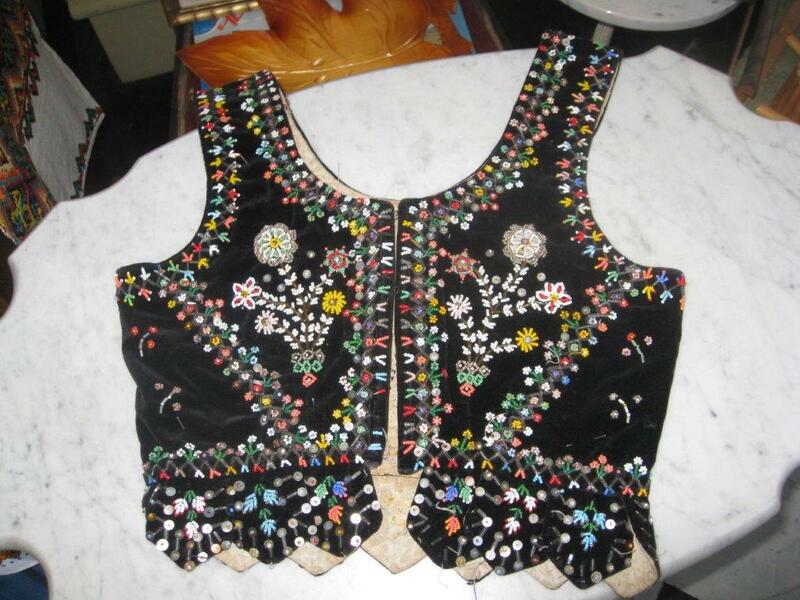 Here are some photos of a costume from Berest showing embroidery on the blouse. 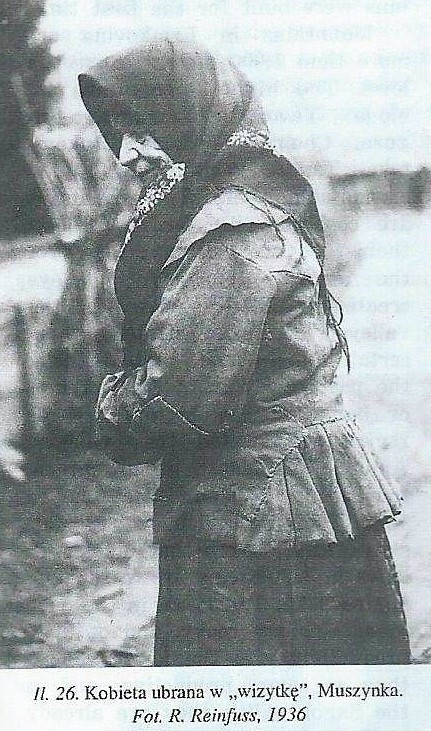 A separate wide gathered collar was often worn over the vest. 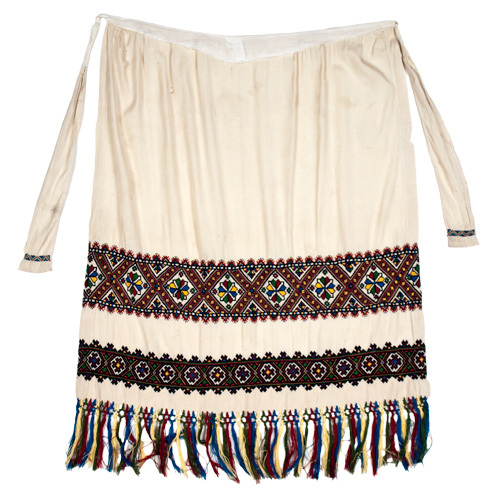 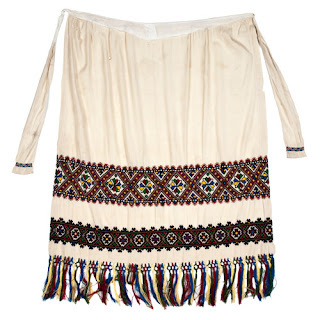 This garment was also in use in the Central Lemko region. 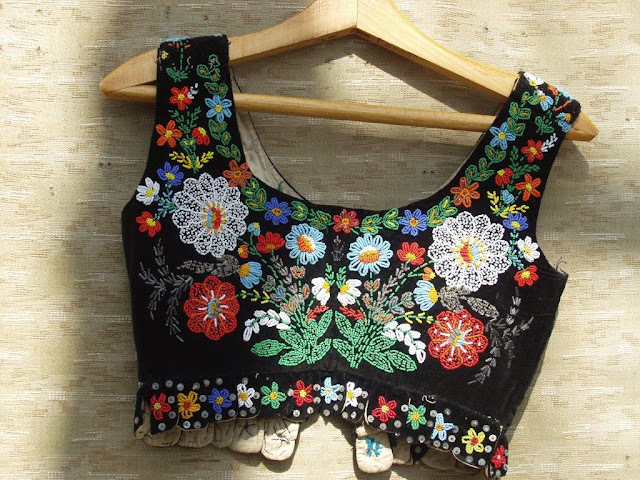 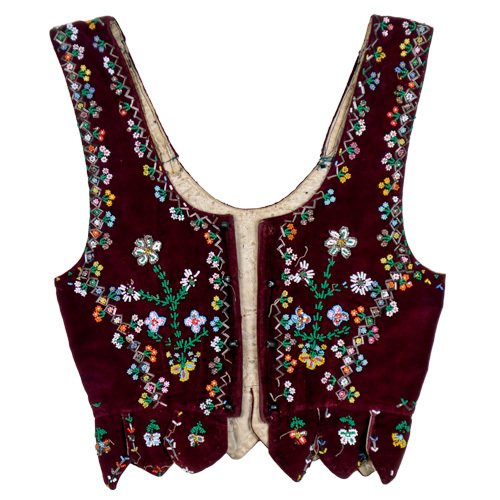 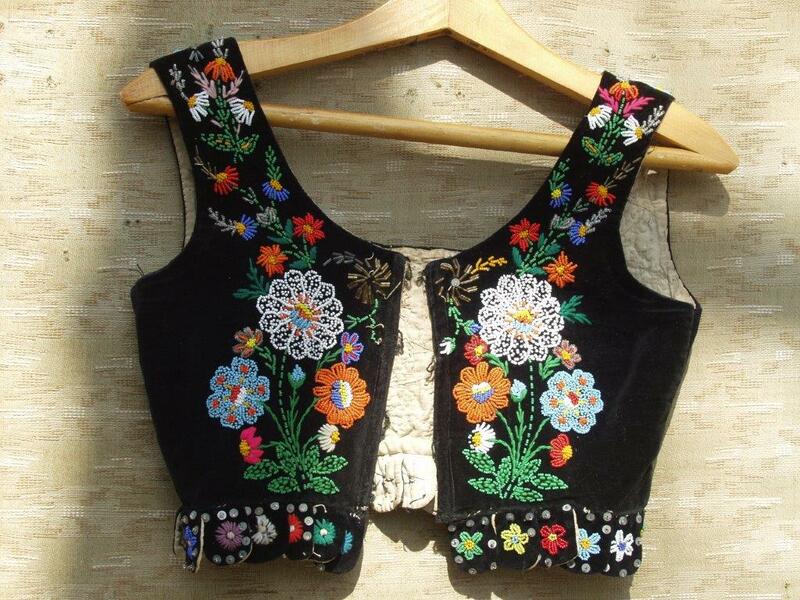 The vests, Gorsets or Leibeks were decorated with beadwork in the Krakow style, which was very popular in the early 20th cent. 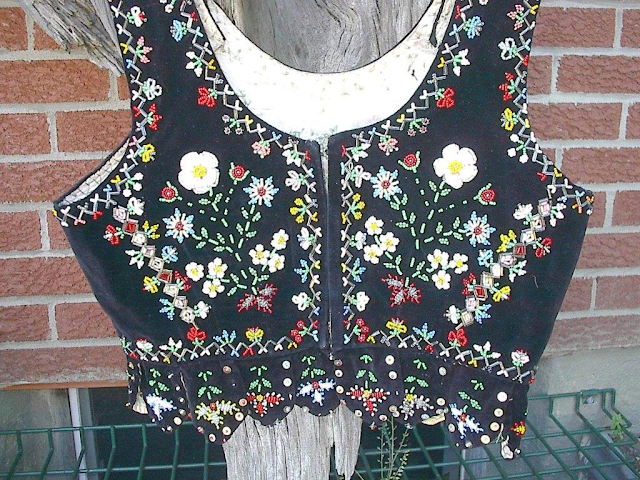 Some of these Lemko examples are indistinguishable from Polish vests, with floral designs spread over the vest. 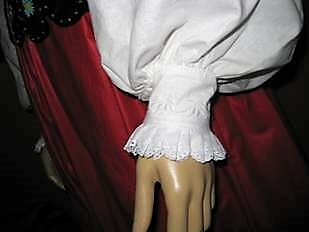 Note that this first one has the squared off lappets typical of the Gorals. The only way to tell that these are Lemko is to know who made them. 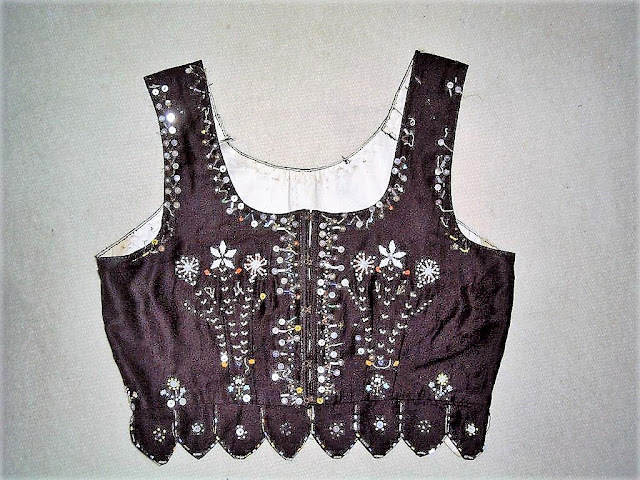 But many of the West Lemko leibeks had a distinct composition, showing ornament in a wide V on the back, more or less following the Princess seams, and narrower V's in the front. 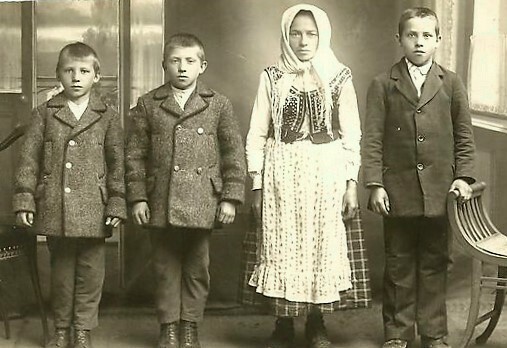 These are distinct to this region. 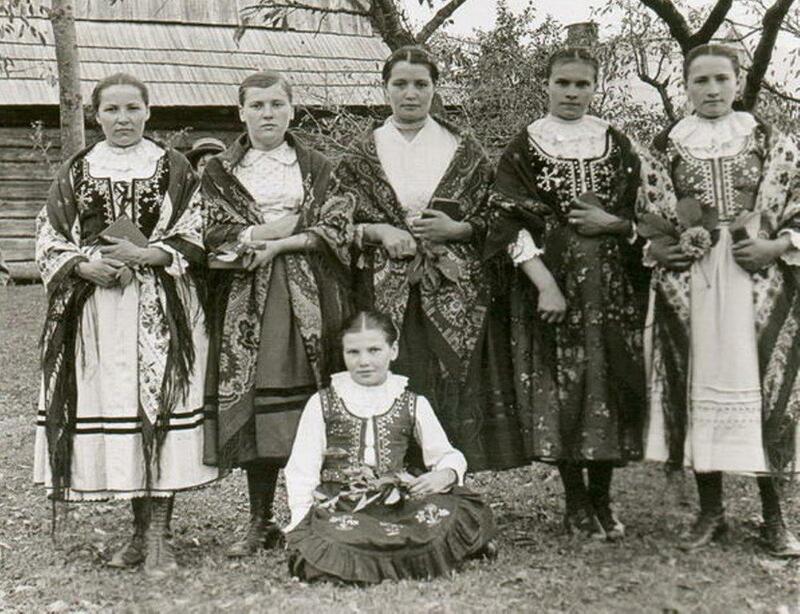 Note that this one also has the short wide lappets more typical of Lemko leibeks in general. 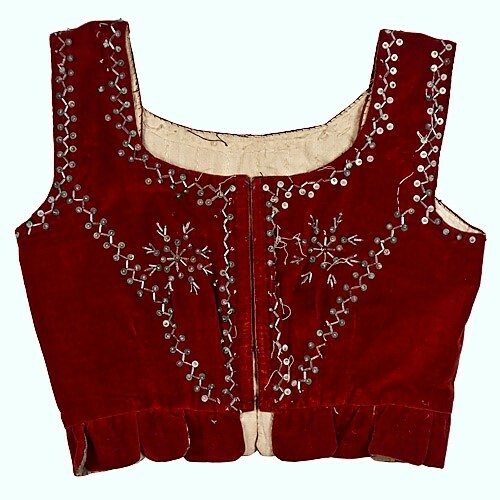 It was, of course, expected that each garment would be different, an example of the maker's creativity. 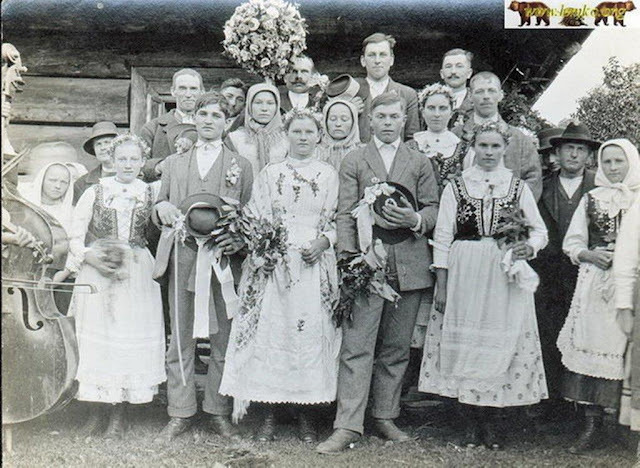 This example is from the village of Izby, on the border of the Central Lemko region. 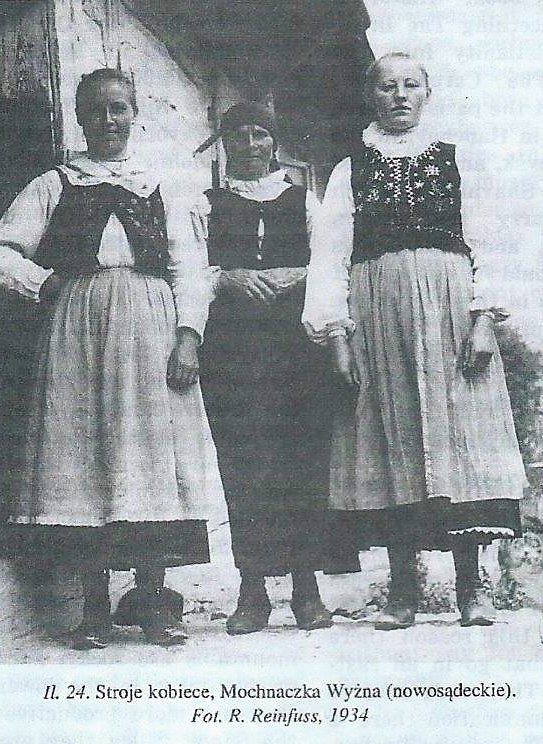 Skirts and aprons were made from many kinds of material, but remained wide and gathered. They were ornamented with ribbons. Linen aprons, as well as the wide collars, often had open work embroidery. 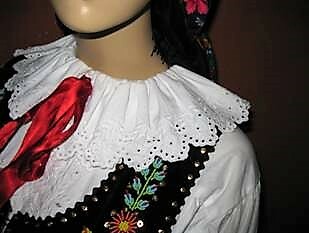 The traditional shirts were sometimes replaced by blouses which had smaller collars and peplums. This trend was also found among some of the Goral groups to the west. 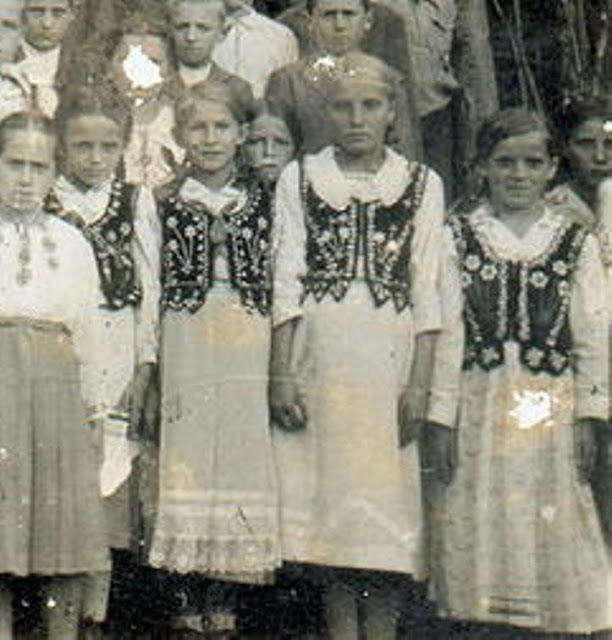 You can see that in the two center girls in the photo at the head of the article. 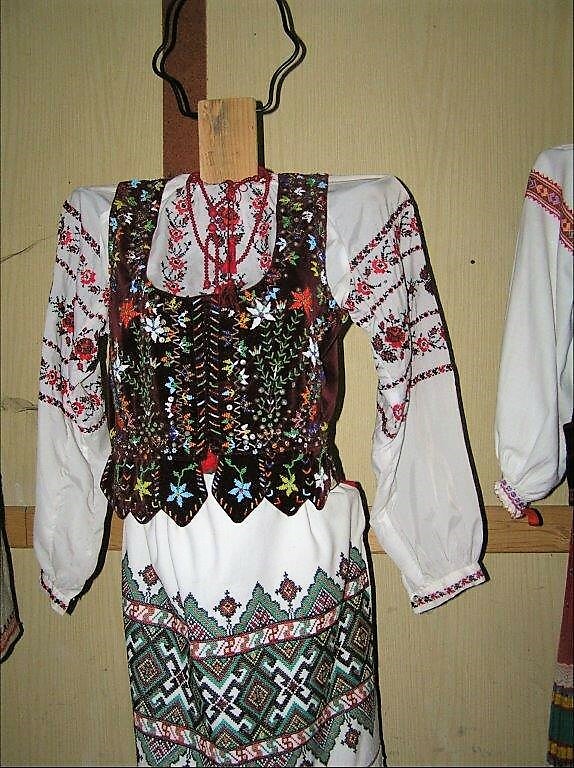 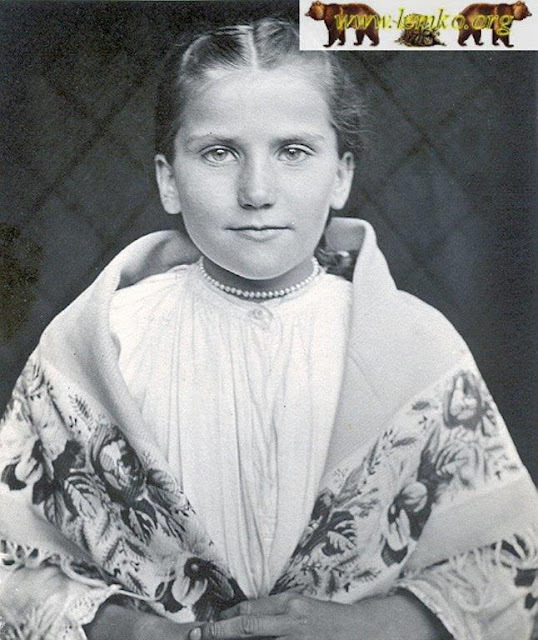 Later you sometimes saw aprons of the 'Halychyna Town Costume' type, made with one panel of cloth, heavy with Ukrainian embroidery, and with obligatory macrame fringes on the bottom. 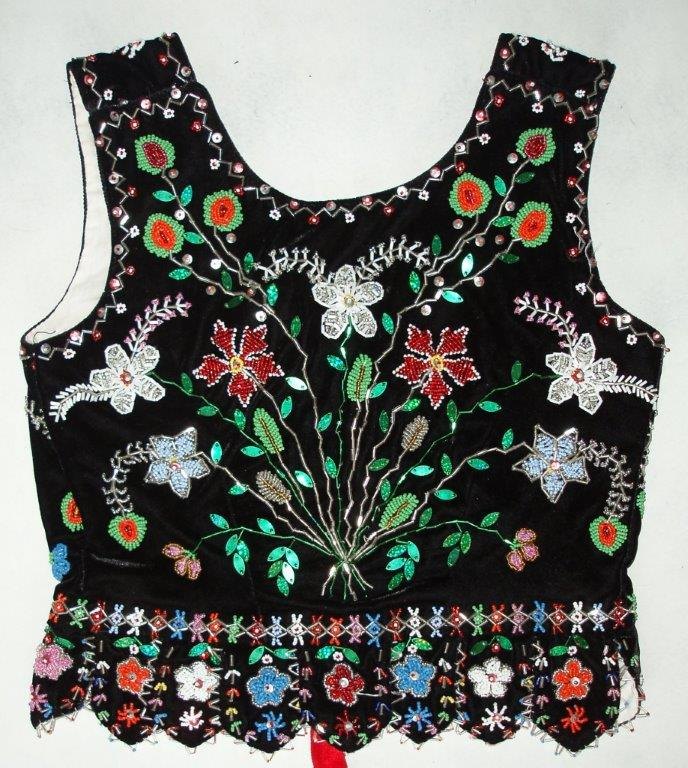 This embroidery is Not Lemko, but is the type of Hutsul inspired embroidery that became popular in eastern Halychyna in the 1930's. Many performing groups added garments like this because they felt that the traditional ones were too plain. 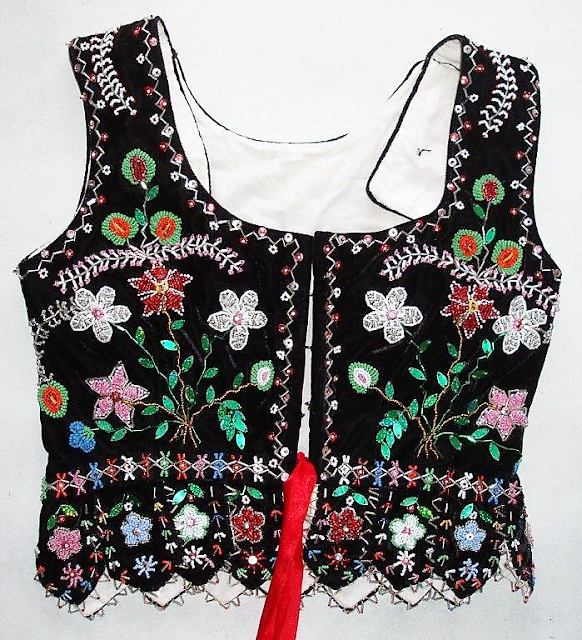 They also added embroidery, either of this style or polychrome cross stitch floral designs to their blouses. 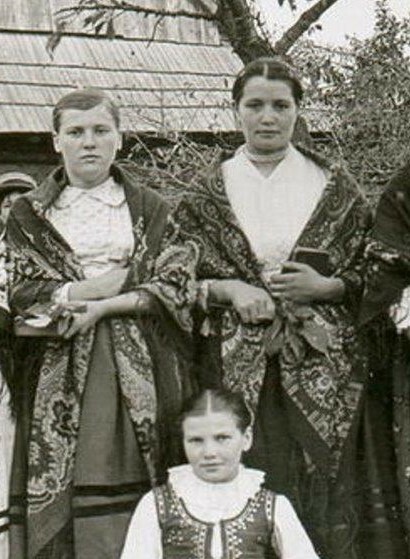 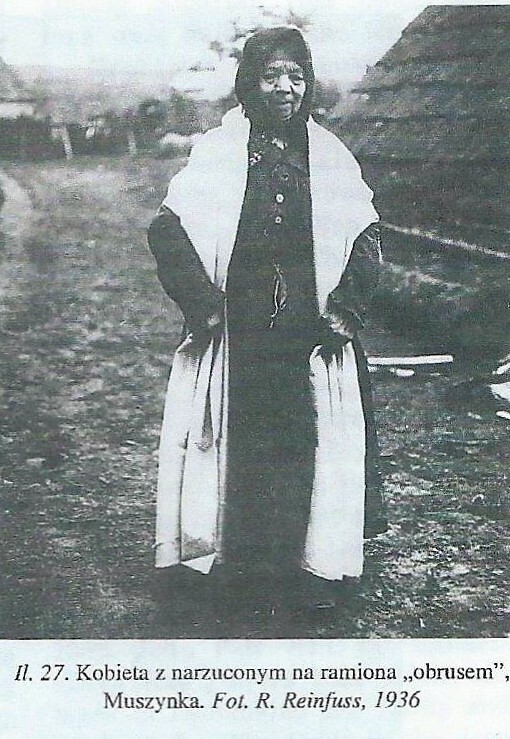 Short jackets with sleeves were worn by older women here as in the entire region. 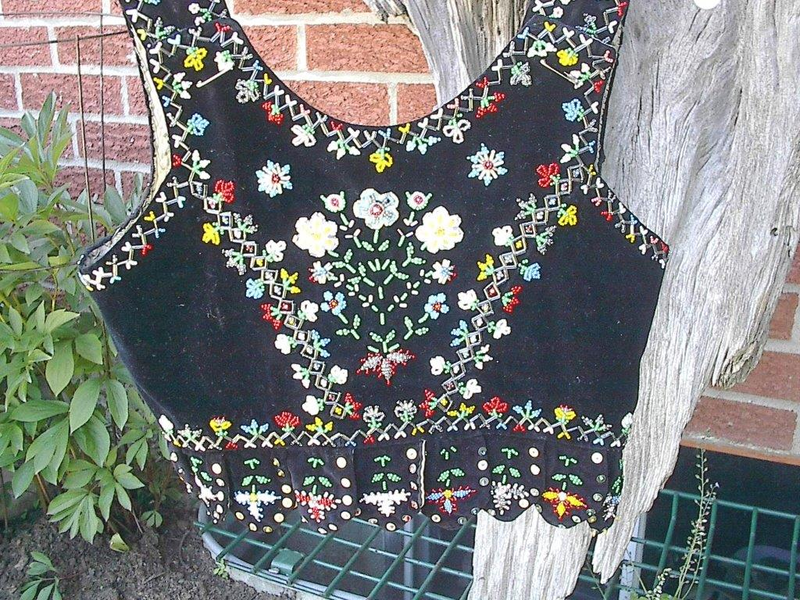 Here is an example from Berest. 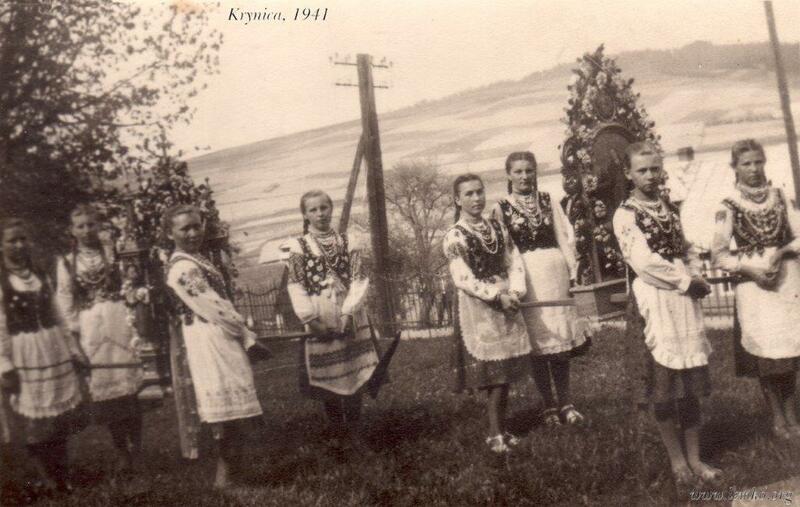 I will finish with more photographs from villages in this region. 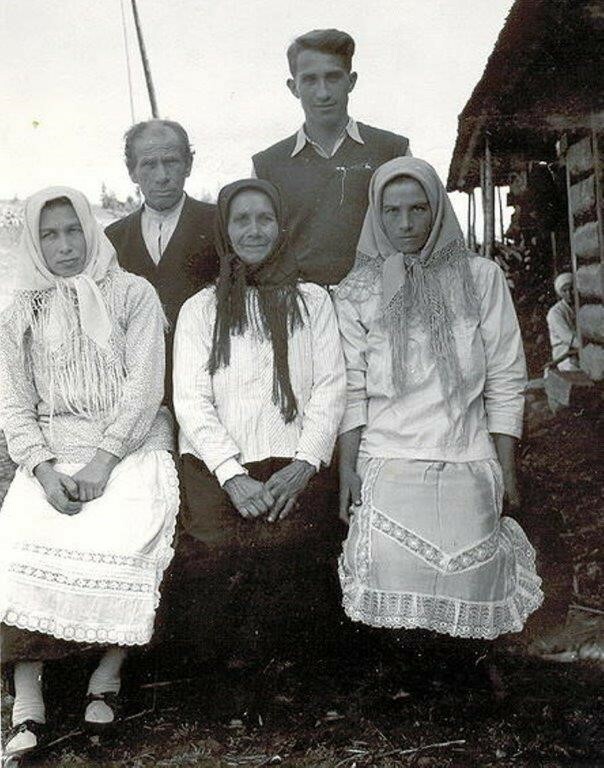 For this article and the next couple I am relying to a great extent upon the research of Vasyl 'Bill ' Jula. 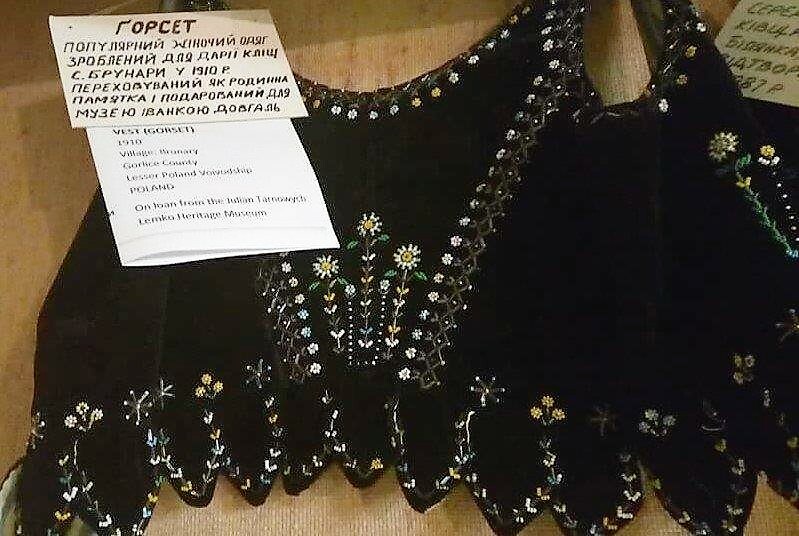 Many thanks to him for permission to use material which he has found.